Nov. 7, 2018—Here's one more reason to start your morning with a hot mug—or more—of coffee. The caffeine in coffee may help prevent rosacea, a common skin condition, a new study shows. Rosacea causes reddened skin and pimples, usually on the face. It can also make skin thicker and cause eye problems. There is no cure—at least not yet. The study involved nearly 82,000 women. Researchers looked at their caffeine consumption. 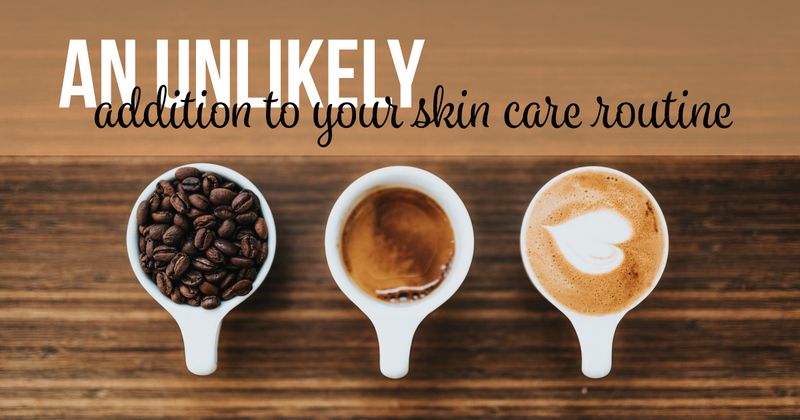 They found that increasing the consumption of caffeinated coffee reduced the risk of rosacea. Those who drank four or more cups per day had the lowest risk, compared to those who drank less than one cup per month. But caffeine in other foods—such as chocolate, soda and tea—did not protect against rosacea. And neither did drinking decaffeinated coffee. Coffee has sometimes been considered a rosacea trigger, along with other hot drinks, sunlight, spicy foods and strenuous exercise. So what explains these findings? Rosacea is an inflammatory disease. And caffeine is rich in antioxidants and has immunosuppressant effects that may curb inflammation, the researchers said. It may also help balance hormone levels that are linked with rosacea. The study appeared in JAMA Dermatology. To learn more, read the abstract. This study adds to a growing body of evidence that coffee has powerful health benefits. Past studies suggest it may protect against several cancers, type 2 diabetes, heart disease, dementia and depression. But because some studies suggest coffee may raise the risk of a miscarriage, it's best to limit caffeine to 200 milligrams a day if you're expecting. That's the amount in one 12-ounce cup of coffee.